My husband had a great idea as I was lying in bed like a beached whale, pregnant with triplets, during my three-week hospital bed rest. I really did need something to do each day other than watch lame movies and ring the nurse for more cranberry juice and Jell-O. That was seven years ago, and I have been blogging ever since. Up until three months ago, my blog was mainly an outlet to talk about the funny things my kids did or said in this crazy world of motherhood. My 60 readers consisted of friends and family. With my four children in school, I have recently found more time and energy to dedicate to my writing. 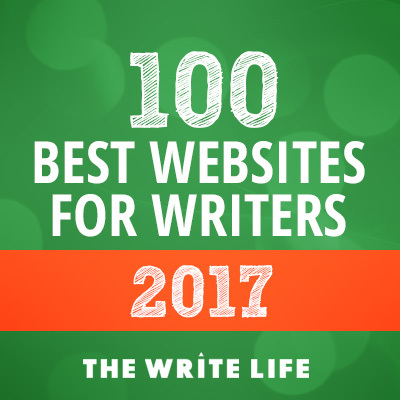 I turned 40 years old last August and I made myself a silent pact; it would be my goal to get my writing published somewhere other than my own blog. In October I decided to write a story that I have wanted to tell for many years about my struggles with infertility. I decided to go big or go home with it, so I sent it straight to Scary Mommy. A week later, Samantha at Scary Mommy emailed me and told me she would love to run my infertility article. I was in a state of shock most of that week. There would be millions of eyes on something I wrote! For the past three months that I have been submitting an article a week to other sites, and much of what I have submitted has been accepted. I have submitted eight different articles and have been published on seven different websites. I have been studying (like I am in college again) about how to grow my blog, make money from blogging, and use social media to promote my blog. I have been listening to blogging podcasts and reading articles from other inspiring writers. I anxiously await Monday mornings when I get to feast my eyes on Beyond Your Blog’s latest articles and listen to the podcast after I drop the kids off at school. I used to only write when I was inspired by something that happened in my life, which was every other week. Now I try to write something every day. Sometimes I write an article and it is junk that will sit in my Word documents file forever. Other days I write something I feel really good about and I just know it is going to be accepted by another site. Keep writing and exercising that muscle every day because you never know which day is going to yield some amazing words. For years I would write articles, barely spell check them, and publish them to my blog, The Hip Mothership. I would have friends tell me they found a typo and I would quickly fix it, hoping to avert every writer’s nightmare of publishing with a dreaded typo. When I read some of my older posts, I am horrified by how poorly written they are. Now I have my husband (who does have a poetry book published on Lulu and he did make me mention that) edit every single thing I write and we talk about it and rework sentences before I send it out. It is very important to get an extra set of eyes on your work. Do your research on various websites and be very careful to choose the most appropriate site to submit your writing. 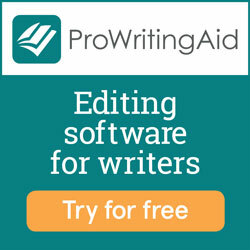 I read the style of writing on each of the sites I submit my work to so I know exactly which site will be the best fit. If I have a raw and edgy piece with a few swear words strewn about, I may send it to BLUNTmoms. If I wrote a more serious and emotional story on motherhood, Mamalode may be my audience. One of the first pieces I wrote that was published was a humorous article about how my husband was stung by a Stingray and it saved our vacation, which I sent to Great Moments in Parenting and Erma Bombeck’s Writer’s Workshop. I try not to waste anyone’s time by making them read articles that aren’t relevant for their website. Well known writer and blogger James Altucher says to always have a notepad with you at all times just in case you are struck with a brilliant idea (a restaurant ordering pad is actually what James recommends but I’m way too deep into technology to actually hand write something). Everywhere I go I have my iPhone handy to write ideas in the Notes app. Sometimes I will wake up in the middle of the night with a great idea and my iPhone is always on my bedside to jot down those midnight musings (although half of them end up being lame). I made another pact with myself when I began this writing submission journey that I would never get discouraged and quit. I would never see a rejection email in my inbox and feel like I am a horrible writer. When I get a rejection email, I give myself a few minutes of disappointment time, and then I get to work trying to figure out where my article may be a better fit. Submitting my work to other websites has been an absolute pleasure and honor. I have learned so much through the process of submissions, including how to be a stronger writer. There are so many thrilling moments in life, like when you get married, have a child or buy a house. Seeing that email come through your inbox saying that your writing has been accepted for publication on another site has been up right up there with the thrilling moments in my life. Megan Woolsey is the author of the blog, thehipmothership.com. When Megan is not raising four children (including triplets) or writing, she enjoys hot yoga, cooking, and obsessing about traveling the world. Her dream career is travel writing. Megan has been published on Huffington Post, Scary Mommy, BLUNTmoms, Bonbon Break, Role Reboot, Great Moments in Parenting and Erma Bombeck’s Writer’s Workshop.